Former Military Chief Abdel Fattah Al-Sisi has dominated the ballots in Australia, with 96.3 percent of voters choosing the man largely responsible for the ouster of President Mohammed Morsi. 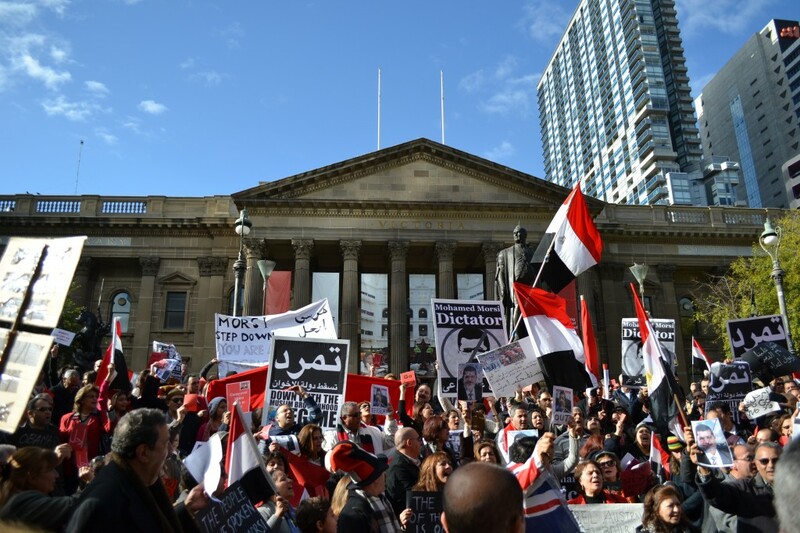 According to official sources, including campaign representatives, 1,944 cast their ballots in Melbourne, with 1,874 votes for Sisi and 58 votes for Nasserist politician Hamdeen Sabahi. 12 votes were found to be void. In Sydney, out of 2,790 votes, 2,699 (96.7%) were for Sisi and 74 votes (2.65%) for Sabahi. A total of 17 votes were invalid. In Australia’s capital city on Canberra, out of 115 votes, 99 voted for Sisi (86%) and 12 for Sabahi (10.4%). Overall, a total of 96.34% of Egyptian voters in Australia chose Sisi as their future President. Meanwhile, in New Zealand, 91 percent of Egyptians voted for Sisi. Out of 45 Egyptians, 41 voted for Sisi and three voted for Sabahi, with one void ballot. In Shanghai, similar numbers were recorded, with 66 Egyptians (89.1%) voting for Sisi, five voting for Sabahi (6.75%) and three void ballots. In the capital cities of Indonesia and the Philippines, an overwhelming majority similarly chose Sisi over his contender Sabahi. Out of 65 votes in Jakarta, 59 ballots (90.8%) were cast in the favour of Sisi and the rest for Sabahi. Manila witnessed lower support for Sisi, with 30 (76.9%) choosing the former Military Chief and nine choosing Sabahi (23.1%). Overall, out of a total of 4,981 votes counted so far across the countries mentioned above, 97.7% of Egyptians that participated in the elections have voted for Sisi. Voting for Egyptian expatriates will close on May 20 at 9PM, with unofficial results announced within 48-72 hours. Meanwhile, voting in Egypt is scheduled to commence on May 26, with the final results expected to be announced by June 5.